A subscription to Adbrands.net offers full access to three distinct services: Adbrands Company Profiles, Adbrands Account Assignments and the Adbrands Weekly Update. Subjects covered include major advertisers such as Procter & Gamble or General Motors; agencies such as McCann Erickson or Leo Burnett; or brands such as Coca-Cola or Levi's. There are three types of profile. Full Adbrands Profiles are feature articles, generally ranging between 1,000 and 3,000 words, which provide a detailed analysis of the history and current operations of leading advertisers, agencies and brands worldwide, and include a critical summary which identifies key strengths and weaknesses. What else does the company do? How did it originate? What other brands does it own? How is it performing in the market? With what other businesses is it affiliated? Adbrands Snapshots are between 500 and 1,000 words, and provide a brief analysis of history and current operations, and identify key strengths and weaknesses. Adbrands Capsules, under 500 words, provide a top-line description of the current operations, but carry little historical information or critical analysis. We also provide a growing number of Assignment Only pages, which contain shorter capsules as well as a direct link to the subscribers-only Account Assignments database. Access to Adbrands Profiles, Snapshots and Capsules and the Account Assignments database is restricted to subscribers. 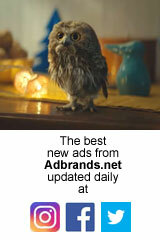 Currently Adbrands receives well over 3,000 visitors per day, and delivers around 220,000 page views per month. Just over a third of users are based in the United States; just under a third are located in the UK. The remaining third is divided between a wide variety of other countries. Our next biggest markets by users after the US and UK are Canada, India, France, Australia, Germany, the Philippines, Italy, Spain and the Netherlands.